Achilles tendonitis occurs in about 10 percent of runners, but this condition also occurs commonly in dancers, gymnasts, jumpers, and tennis players. Road running produces forces up to eight times the body’s weight, placing significant repetitive stress on the Achilles tendon for prolonged periods. 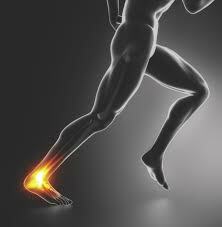 While Achilles tendinitis most commonly occurs in runners who have suddenly increased the intensity or duration of their runs, it’s also common in middle-aged weekend warriors who play sports occasionally, but with great efforts, such as tennis, softball, or basketball. Treatment methods for Achilles tendon pain vary among doctors and therapists and include rest, immobilization, cryotherapy, NSAID medication, taping, manual therapy, stretching and more. 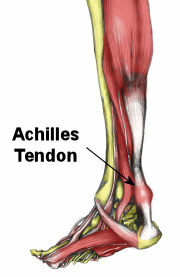 Certified Sports Chiropractors are uniquely suited to evaluate and treat Achilles Tendonitis. Sports Chiropractic Specialist, Dr. Jonathan Wilhelm of Pro Chiropractic in Bozeman and Belgrade, Montana demonstrates cutting-edge treatment to help resolve Achilles Tendonitis quickly and completely.